Taco Bell is partnering with Xbox to give fans in the United States the chance to win limited-edition Xbox One X consoles each time they buy a $5 double chalupa box, Xbox announced. The promotion lasts from Oct. 18 through Nov. 21. 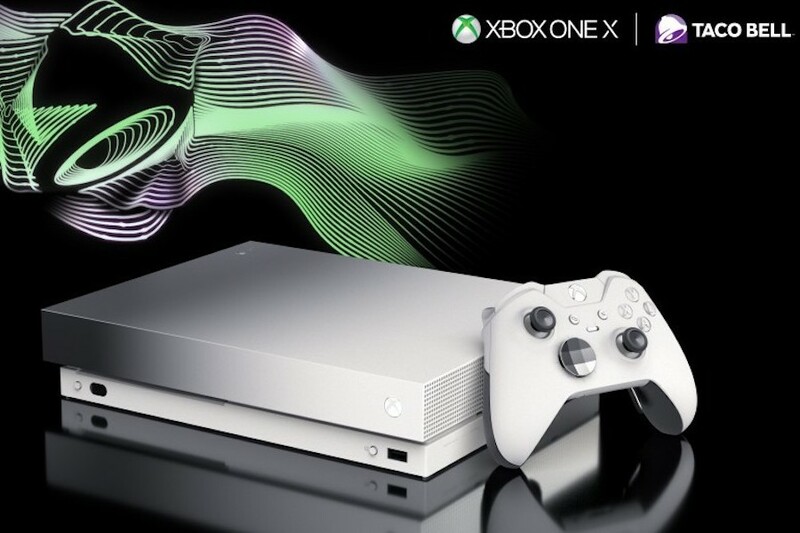 The exclusive platinum-colored console features Taco Bell’s “ring” when powered on (exclusive to the limited-edition consoles); a white, special-edition Xbox Elite wireless controller; and three months of Xbox Game Pass and Xbox Live Gold. An Xbox One X will be rewarded every 10 minutes throughout the promotion and it will be delivered to fans 72 hours after being declared a winner, according to Xbox. The Xbox One S and Xbox One X both feature a built-in 4K UHD Blu-ray player and Dolby Atmos support.